High quality mini microchip, 1/3 smaller chip and needle than previous kinds. Readable with all universal scanners and most Avid scanners. Please SELECT YOUR FREQUENCY before adding to cart. 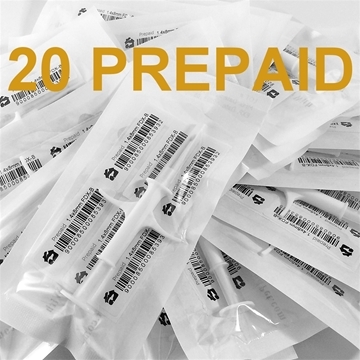 Need 20 or more? 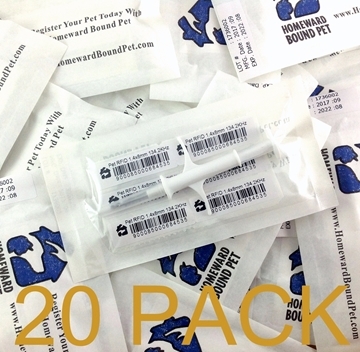 Check out our bulk-discount packs of 20 or 100 instead! High quality mini microchip, 1/3 smaller chip and needle than previous kinds. Readable with all universal scanners and most Avid scanners. Please SELECT YOUR FREQUENCY before adding to cart. 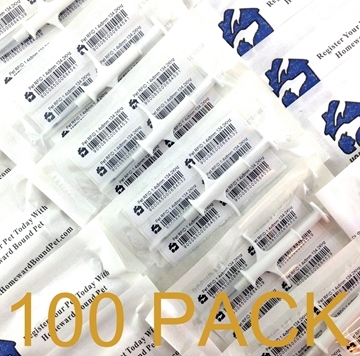 Call us for specials on orders of more than 100! Save 40% off the regular cost of a chip and the chip registration! 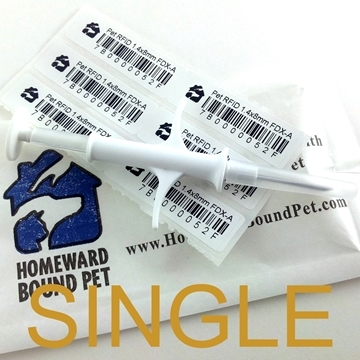 These microchip packages are stamped PREPAID and come to you with a PREPAID registration card for each chip. 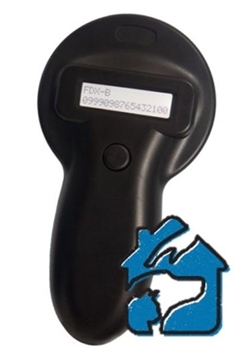 They can be registered online, by mail, by phone or by fax at no additional cost. High quality ISO 134.2 kHz mini microchip, 1/3 smaller chip and needle than previous kinds. Readable with all universal scanners and most Avid scanners. High quality mini microchip, 1/3 smaller chip and needle than previous kinds. Readable with all universal scanners and most Avid scanners. Please SELECT YOUR FREQUENCY before adding to cart. 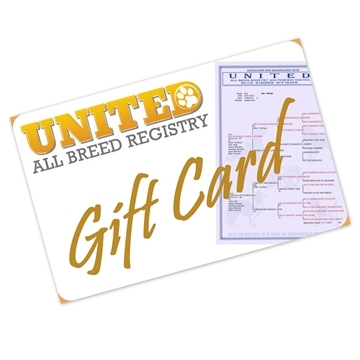 Save 33% off the regular cost of a chip and the chip registration! 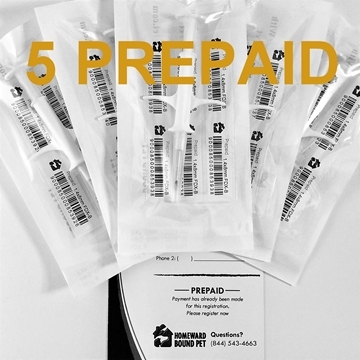 These microchip packages are stamped PREPAID and come to you with a PREPAID registration card for each chip. 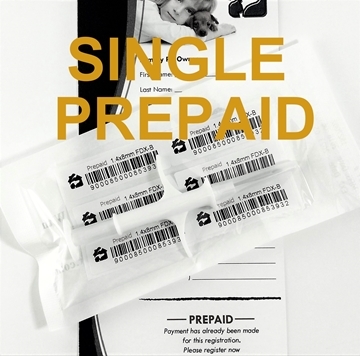 They can be registered online, by mail, by phone or by fax at no additional cost. High quality ISO 134.2 kHz mini microchip, 1/3 smaller chip and needle than previous kinds. Readable with all universal scanners and most Avid scanners.